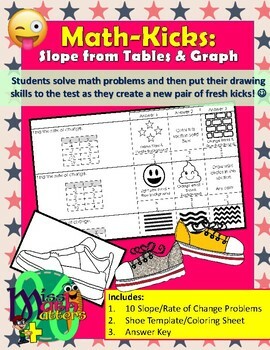 This resource allows students to practice finding the slope or rate of change from tables and graphs while designing a pair of Never-Before-Seen shoes as they go along! 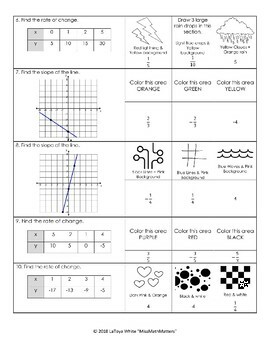 As your students solve each problem, they are given 3 answer choices to choose from. 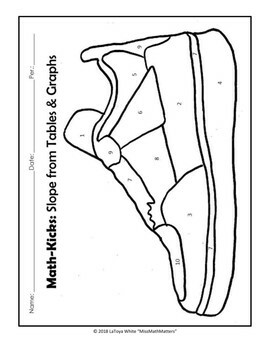 As they find the correct answer to the problem, they create a cool new pair of tennis shoes ("Kicks") using the given pattern, color and/or text above their answer. My students were super excited to see what their final design would look like! I hope that your students enjoy this resource as much as my students did!